지난주에 있었던 이노비 후원을 위한 베네핏 콘서트는 400 여 분이 함께한 즐거운 시간이었습니다. 이번 행사를 통해 생긴 수익금 전액은 장애인, 입원환자,노인분들 등 소외된 이들을 위한 무료 음악회를 개최하는 이노비의 사업에 사용됩니다. 이번 공연을 특별후원으로 함께 만들어 주신 In2교회(마크 최 목사님)와 뉴프론티어 교회(류인현 목사님)에 다시금 감사 드립니다. 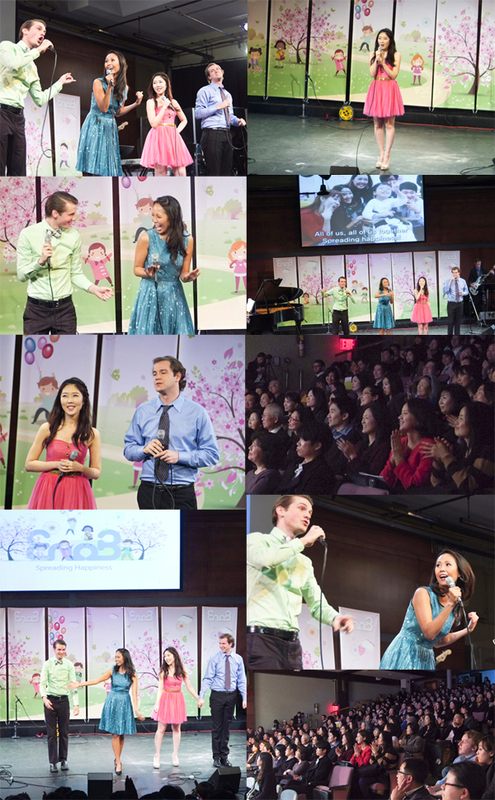 On March 23, EnoB held its Spring 2013 Benefit Concert at Promise Theater in Manhattan (316 E. 91st St. New York, NY 10128) at 7:30 PM. It was a great time with 400 people. 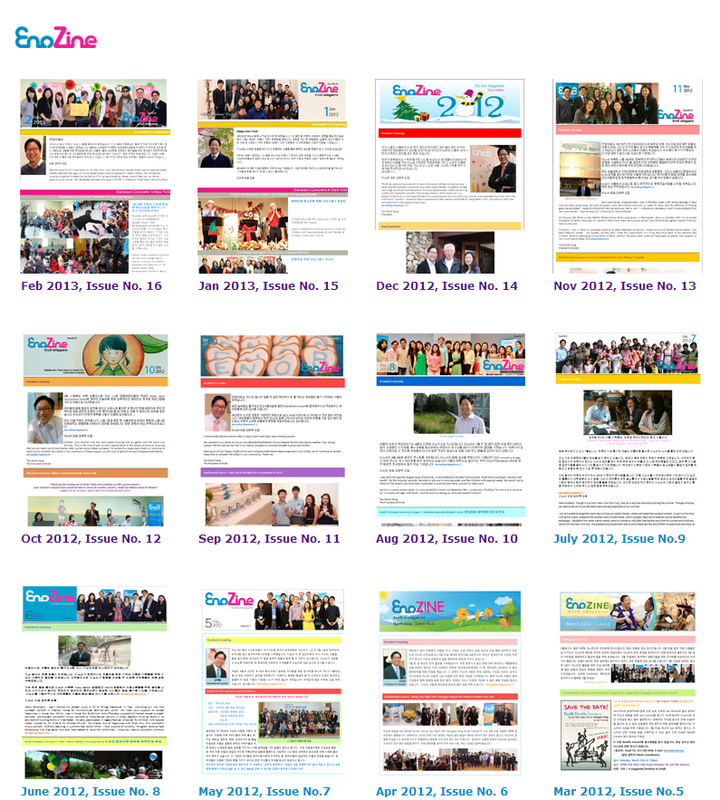 EnoB plans on using all generosities from the benefit concert to holding free outreach concerts to children with disabilities, hospitalized patients, cancer patients, and the elderly in the year of 2013. 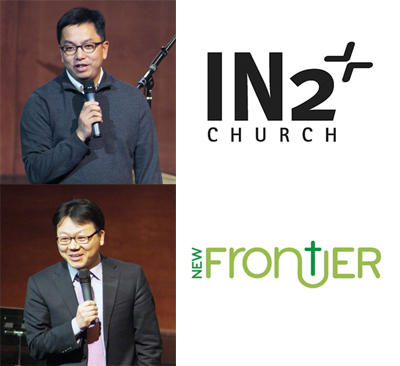 Special Sponsors for the benefit concert were In2 Church and New Frontier Church. 이 번 콘서트는 한국최고의 재즈 피아니스트 송영주 트리오의 공연이 메인 이벤트로 재즈 피아니스트 송영주 님, 현 뉴욕 최고의 드러머 클레런스 펜, 그리고 일본출신 수준급 베이시스트 야스시 나카무라가 함께해 환상적인 호흡으로 400여 관객들의 큰 박수갈채를 받았습니다. 사진을 클릭하시면 동영상을 보실 수 있습니다. Click the image to view the videos. 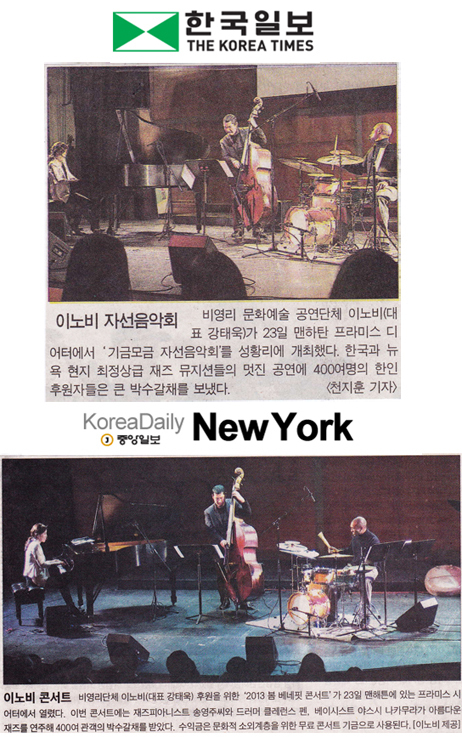 The benefit concert mainly featured the jazz trio called YoungJoo Song Trio, which includes one of Korea’s top jazz pianists Youngjoo Song. Drummer Clarence Penn released in 1966 the outstanding record titled “Penn’s Landing”, which was selected by the New York Times as the best jazz album of the year. Along with bassist Yasushi Nakamura, the jazz trio received a big round of applause from audience of over 400 EnoB supporters. 이번 공연을 위해 특별히 열린 전시에서는 [뉴욕의 특별한 미술관]의 저자이자 독립큐레이터, 아트 컨설턴트인 리즈 권씨가 작품선정으로 함께 참여해 주셨습니다. 전시에는 미니리, 조희정, 이상용 작가의 작품이 전시되었고, VIP들을 위해 마련한 리셉션에서는 큐레이터와 작가가 함께해 작품설명을 들을 수 있는 자리가 마련 되어 더 좋은 시간이 되었습니다. 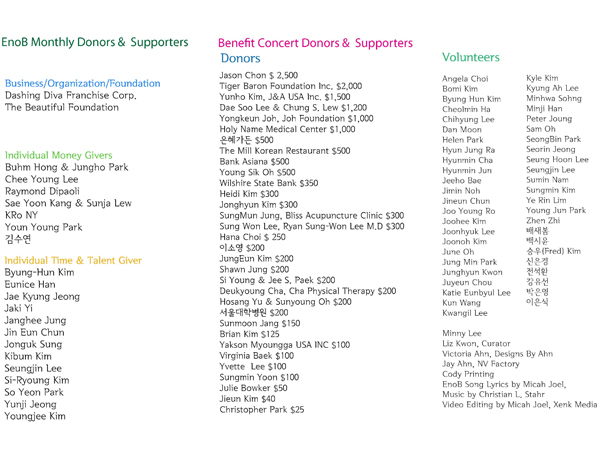 At the benefit concert, several Korean artists were featured with the help of New York based art consultant and independent curator Liz Kwon. The VIP reception displayed artworks by Heejung Cho and Sang Yong Lee as well as photographs by Minny Lee. 이노비 이사님이신 이치윤 이사님께서 준비해주신 정성스럽고 이쁘고 맛있는 음식 덕분에 이노비의 베네핏 콘서트가 더욱 알찬 공연이 될 수 있었습니다. 수고해주신 이치윤 이사님께 감사 드립니다. The benefit concert had special catering by April Lee. The food was delicious and beautiful and we would like to thank her for lending her talents to this event! 사진을 클릭하시면 더 많은 이미지를 보실 수 있습니다. 이 날 공연에는 메인이벤트인 송영주 트리오의 콘서트 외에도 이노비가 장애어린이, 콜럼비아 대학 어린이병원에서 공연하는 Let’s Play with Music의 뮤지컬팀이 결성한 이노비 밴드가 아웃리치 콘서트 프로그램의 일부를 소개하는 시간을 가졌습니다. 또한 관객들과 함께 처음으로 공개하는 “이노비송 Spreading Happiness”를 함께 부르는 시간을 가졌습니다. In addition to YoungJoo Song Jazz Trio, the EnoB Band also performed at the spring benefit concert. 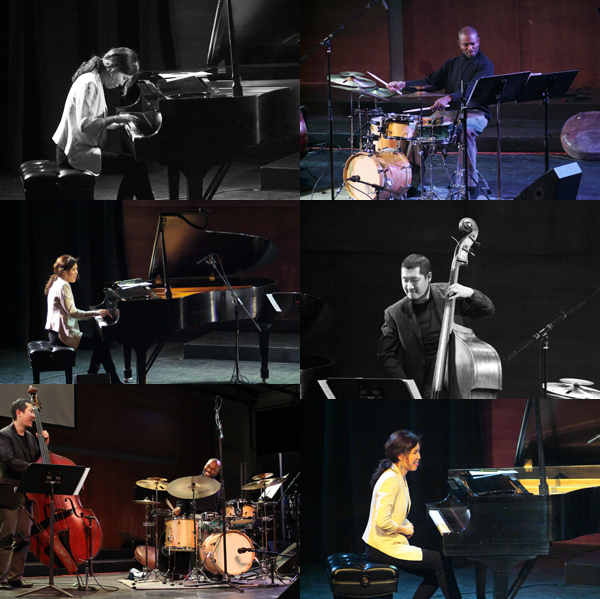 They have performed in several outreach concerts for children with disabilities and hospitalized children at the Columbia University Children’s Hospital. 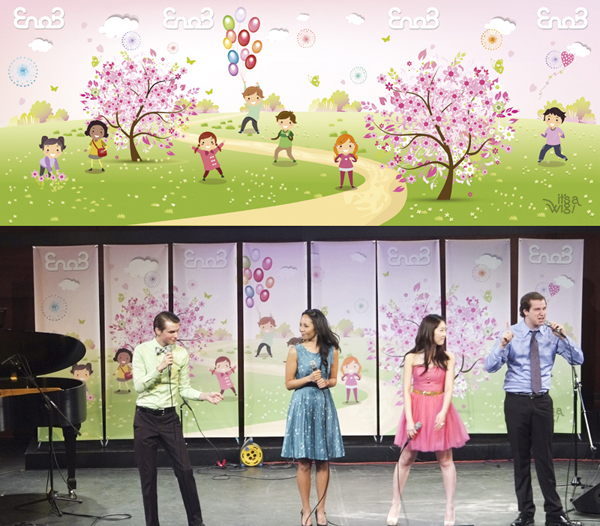 The “Let’s Play with Music” team also premiered the original EnoB theme song titled “Spreading Happiness” at the concert. 이날 이노비 베네핏 콘서트를 위해 인투교회의 마크 최 목사님과 뉴프론티어 교회의 류인현 목사님께서 축사를 해 주셨습니다. EnoB Benefit Concert에 함께한 스페셜 스폰서 인투교회는 Promise Theater (프라미스 시어터) 316 East 91st Street New York, NY 10128에 위치하고 있으며, 마크 최 목사님이 담임목사님으로 시무하고 계시며, 온누리교회 뉴욕 및 뉴저지 비전교회로 나뉘어 있습니다. 뉴 프론티어 교회를 간단히 소개해 드리면, PS11, William T.Harris School , 320W 21st ST,NY,NY10011에 위치한 뉴 프론티어 교회에는 류인현 목사님께서 담임목사님으로 시무하고 계십니다. 최경선, 박윤혜, 박영경, 조영균, 박동현 선생님과 함께 미니 오페라의 형식으로 아름다운 음악을 공연하고 돌아왔습니다. 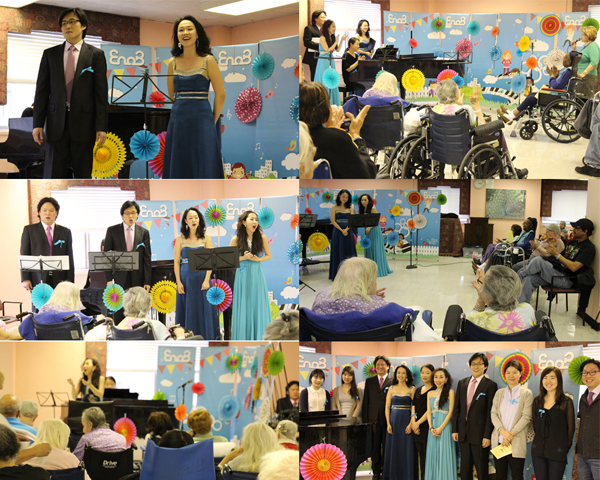 On March 7, EnoB performed an outreach concert in a mini-opera format for multiethnic seniors. Musicians Kyungsun Choi, Yoonhye Park, Yong kyung Park, Younggyun Jo, and Donghyun Park performed a beautiful mini-opera for the seniors. 서울에서 있었던 두 번의 아웃리치 공연 동영상을 전해드립니다. 링크를 클릭하시면 동영상을 보실 수 있습니다. 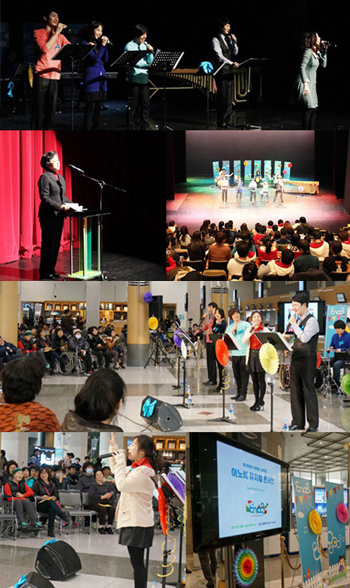 Seoul EnoB has uploaded videos from two past outreaches! Click the link to view the videos. 이노비의 뉴욕 인턴 정윤지, 김기범, 김영지, 서울 인턴 정장희님을 소개합니다. 인턴이신 김시령님의 소개로 EnoB와 인연을 맺게 된 김기범님은 현재 School of Visual Arts에서 광고 디자인을 전공하고 있습니다. 공익광고에 관심이 많으며, EnoB에서 디자인 관련 업무를 맡아 하고 있습니다. Kibum Kim heard about EnoB through Si-Ryoung Kim, another one of our wonderful interns. Kim is currently majoring in Advertising Design at the School of Visual Arts (SVA). Kibum has an interest in public service and will be bringing design-related skills to EnoB. 정윤지님은 현재 Baruch College에서 마케팅을 공부하고 있습니다. 인턴 경험을 통해 어려운 사람들에게 도움이 되고 싶어 이노비에 지원하게 되었습니다. 이노비에서 마케팅 및 전반적인 오피스 업무를 하고 있습니다. Yunji Jung is studying marketing at Baruch College. She wishes to gain valuable internship experience while also helping those in need. EnoB will greatly benefit from her skills in marketing and administrative office operations. 김영지님은 Keller graduate school of Devry college에서 Public management in MBA를 공부하고 있습니다. 평소 사회에 기여하는 비영리 단체에 대해서 관심이 많고 실제 현장에서 일어나는 비영리단체의 전반적인 일들에 대해 알고 싶어 지원하게 되었습니다. Youngjee Kim is currently studying at the Keller Graduate School of Devry College for an MBA in Public Management. She has a lot of interest in non-profit organization and she wants to contribute to the society with her experience at EnoB. 이노비 서울에서 함께 일하게 된 인턴 정장희님을 소개합니다. 문화기획자가 목표인 정장희님은 현재 성공회대학교 문화대학원에 재학중이며, 중고 문화마켓 사회적 기업인 스누마켓에서도 활동 중입니다. 정장희님은 이노비에서 문화 공연 기획과 비영리단체에 대한 경험을 쌓고자 이노비의 문을 두드렸습니다. EnoB Seoul would like to introduce our new intern, Janghee Jung. He is currently a graduate student at SungKongHoe University studying in the School of Culture and Communications. 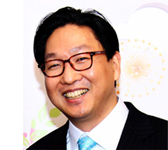 He has been working for a social enterprise organization called SNU Market. He hopes to learn more about organizing activities that will encourage culture, as well as familiarizing himself with non-profit organizations. 어느덧 살랑거리는 바람과 함께 기분 좋은 봄이 찾아 왔습니다. 이노비 머그에 담긴 봄이 느껴지시나요? 이번 베네핏 콘서트를 맞이하여 특별히 디자인된 봄 로고 머그를 여러분께 소개 해드립니다. 디자이너 정재경 님께서 디자인 해주신 봄 로고로 제작된 머그는 이번 이노비 베네핏 콘서트에서도 판매 하였습니다. 머그에 관한 문의는 enobinc@gmail.com, 전화 212-239-4438로 부탁 드립니다. The cheery spring season has finally arrived! We have designed this spring's logo specifically for EnoB's upcoming benefit concert. 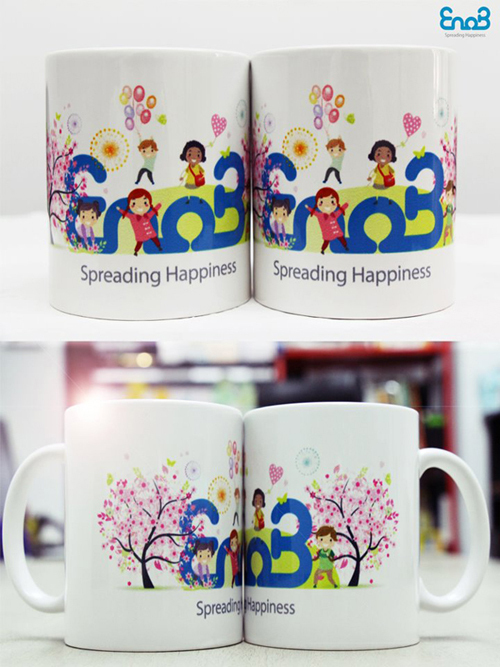 Created by our talented designer Jae-Kyung Jeong, the new EnoB mugs sold at the Benefit concert. 이노비의 새로운 해피니스 스크린! 2013년 봄을 맞아 봄을 대표하는 벚꽃을 입고 찾아왔습니다! 이노비의 봄 스크린에서 봄 내음이 나지 않나요? 아웃리치 콘서트에서 활약할 이노비의 새 스크린도, 이노비도 함께 지켜봐 주세요! 2013년 첫 해피니스 스크린은 봄 로고를 디자인 해주신 디자이너 정재경 님께서 디자인 해주셨습니다. 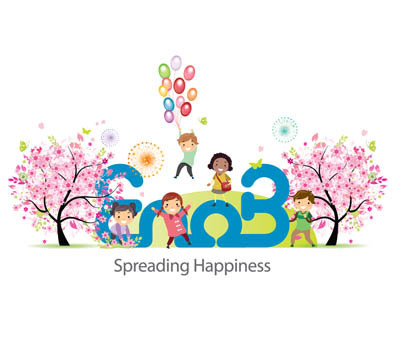 EnoB is introducing a new banner we like to call the Happiness Screen! It is representative of the joy of spring. Come check out our outreach concerts to see this beautiful display. This year’s first Happiness Screen was designed by Jae-Kyung Jeong. 4월 20일 이노비가 코코 장애 아동 서비스 센터를 찾아갑니다! 이노비와 오랜 인연을 맺은 코코에서 장애 아동들을 위한 아웃리치 콘서트를 개최할 예정입니다. On April 20, EnoB NY will be working with the Center for Disability and Children's Services at COCO. EnoB has had a long relationship with COCO and continues to hold outreach concerts for disabled children with the organization.